The state park entrance pass system works differently in each state. Many states offer some sort of pass that allows for unlimited entry at most state parks, while other offer park passes on a park-by-park basis. A few states do not charge entry fees to their state parks and thus do not offer an entrance pass. All fifty states are listed below, with a link to their official state park website and information on their state park entrance pass program. Find your state, order an entrance pass, and enjoy unlimited access to the natural beauty your state has to offer! Alabama issues annual passes on a park-by-park basis. Some parks do not issue annual passes; most of them because entry is free. Alaska no longer issues annual camping passes, but you can purchase parking passes and boat launch passes. A Disabled Veteran's Annual Camping Pass is also available for free ​if you qualify. Arizona offers a "Standard Annual Pass" that allows day-use access at all Arizona State Parks for pass holder and up to three additional adults in the same vehicle, with the exception of weekends (Friday-Sunday) and state holidays at the River Parks. A "Premium Annual Pass" day-use pass is also available and allows park access to three more people in the same vehicle. A Disabled Veterans Annual Pass is also available at no cost. Annual passes may be purchased at any Arizona state park. Arkansas does not issue annual passes. Fee vary from park to park, some being entirely free, other having parking fees, and some having fees to use certain facilities (boat launch, swimming pool, etc.). Look up the specific park you want to know about on the Arkansas State Parks website. California offers a number of different state park passes. These include vehicle day-use passes, boat use passes, and passes for the disabled, elderly, or veterans. The passes are available through California Park's online store. Colorado's Annual Pass is valid for a full 12 months after you purchase it, not just for the calendar year. In addition to the standard pass, there are special passes for elderly, disabled, and low-income peoples. Connecticut offers a special seasonal pass that allows unlimited vehicle access to any state park or recreation area that has a parking fee for no extra charge for the entire calendar year the pass was issued. Seasonal passes are available to both in-state and out-of-state residents. The passes may be obtained at a park's regional headquarters, or at State Park and Forest Recreation Area entrance stations during hours when parking fees are in effect. The Delaware State Parks Annual Pass allow your vehicle and its occupants to enter most state parks without paying the daily entrance fees (some parks excluded). You may purchase an annual pass at any park office, at the central office in Dover, or online. Florida State Parks have a general state-wide entry fee. This can be avoided with the purchase of an Annual Entrance Pass (some parks excluded). The pass can be bought online, by fax or mail, or in person at most state parks. Georgia's "Annual ParkPass" allows free parking at any state park. You can also get discounts at 15 state historic parks by purchasing a "Historic Site Annual Pass". Passes may be purchased at any state park or historical site. Hawaii does not charge entrance fees for its state parks, and thus there is no annual pass. Enjoy! Idaho offers an "Annual State Park Passport" that allows you to bring your vehicle into any of Idaho’s state parks for the day as many times as you wish during the calendar year without paying the Day Use Vehicle Fee. There are also discounts for eldery, disabled, and low-income residents. Illinois does not charge entrance fees to their state parks. The only exception is at beaches, where there is a $1 fee. Iowa does not charge entrance fees for its state parks, and thus there is no annual pass. Enjoy! Kansas offers annual calendar year passes. The passes available are for vehicle entrance (a discounted version is available to seniors and the disabled), camping, and a trail permit that allows the use of the Prairie Spirit Trail. Kentucky does not offer annual passes to its state parks, but it does maintain a page that lists any current discounts you can receive on camping and lodging. Kentucky POWs can camp for free if they obtain a POW card issued by KY Dept. of Parks. An Annual Pass is available for Louisiana State Parks that allows for unlimited day-use at all sites for all people in one non-commercial vehicle. The pass can be bought at any state park and is valid for the duration of the calendar year. Seniors will receive a discount for day-use entry if they show their driver's license. In addition, anyone in possession of any National Parks Pass may be entitled to a 50% camping fee discount at any Louisiana State Park. Maine offers two type of passes: one for an individual or one that covers an entire vehicle. The passes can be bought at any state park or online. Maryland offers a "State Park Passport" for both residents and non-residents. The pass is good for an entire calendar year and offers unlimited day-use entry for everyone in the vehicle to Maryland's state parks and Cedarville State Forest, unlimited boat launching at most facilities, and a 10 percent discount on state-operated concessions and boat rentals. Massachusetts offers a "ParksPass" provides all visitors in one vehicle unlimited day-use parking access to state park facilities within the state that charge a parking fee, with the exception of Nahant and Nantasket Beaches. The passes are good for one calendar year ​and are offered to both residents and non-residents. Annual Motor Vehicle Permits are available at most State Parks and DNR Operation Service Centers. These permits give each vehicle's occupants access to any state park throughout the year except the three Mackinac Island Historic State Parks. The passes are available to residents and non-residents. With the purchase of this permit, visitors have "unlimited access to special events, scenic places, historic sites, a whole roster of outdoor activities and just plain fun" at Minnesota’s state parks and recreation areas. The annual permit is valid for a full year from the month of purchase. Annual permits can be purchased at state parks, the DNR License Center, REI metro locations or by calling the DNR Information Center. Mississippi offers a variety of annual permits. These include passes for entrance, fishing, boat launching, marina slip use, and swimming / water slide / wave pool use. Passes can be purchased at the state park entrances. Missouri does not charge entrance fees for its state parks, and thus there is no annual pass. Enjoy! There is no entrance fee for visitors arriving at a Montana state park in a vehicle with Montana license plates. There is a free for non-residents, however, and they may obtain an annual pass which allows free entrance to all state parks from March 1st to the last day in February. Nebraska offers an annual entry permit that is good for the calendar year that it is purchased for. Fishing and hunting permits are also available online. Nevada offers annual entrance permits for individual parks. The state also offers a "passport" permit that entitles the holder to enter all parks and use the facilities of the park without paying entry fees. Both passes are valid for 12 months from the month of purchase. Note that even if you have the pass, additional fees will still be assessed for camping, boating and group use areas. New Hampshire offers an individual and a family (2 adults and 2 children) season pass. Both give unlimited day-use of most state parks. In addition, gift certificates are available, as well as a "coupon book" that does not expire. New Jersey offers a State Park Pass, which waives all daily walk-in or parking fees. The passes are available at all state park offices. New Jersey also offers a pass for senior citizens and the disabled. New Mexico offers an annual permit for both day use and for camping. The latter is offered to both residents and non-residents. Both passes may be purchased in person at any state park. New York State offers an "Empire Passport", which is an annual park that offers unlimited day-use vehicle entry to most of New York's State parks and recreational facilities. The Empire Passport is available for purchase online and at state park regional offices. North Carolina does not offer an annual pass. Fees vary from park to park; some are free, some charge entrance fees, and some have extra fees for camping, boating, and other activities. View their official website to find what, if any, fees are associated with the park you want to visit. Ohio does not have an annual pass and does not charge entrance fees to state parks. Camping fees can be discounted if you hold a "Golden Buckeye" card, which is available to resident senior citizens. Oklahoma does not have an annual pass program. Resident and non-resident senior citizens receive a discount on overnight stays, and resident senior citizens have the day-use and entry fees waived. Disabled persons are also entitled to a 50% discount on camping fees. Oregon offers a 12- and a 24-month day-use pass that gives unlimited entry to any of the hundreds of day-use parks in the state. Fees are also waived for disabled veterans and for active military on leave. Pennsylvania does not offer an annual pass of any kind. Entrance to parks are free, but there are fees for a variety of other activities, which are detailed on the official state park website. Rhode Island offers an annual pass that allows for unlimited entry to any of the beaches in the state park system. The South Carolina "Park Passport" entitles the owners to free and unlimited entry into all South Carolina State Parks that charge an entrance fee. The hangtag pass is valid for one year from the date of purchase and can be transferred from one vehicle to another. The pass can be bought online or by visiting a South Carolina state park office. A "Palmetto Pass" is also available to senior citizens, blind, or disabled residents of South Carolina and offers the same access as the Park Passport at half the price. Tennessee eliminated all access fees ​to state parks ​in 2006. Parks in the state are now free to all visitors. Enjoy! The Texas State Parks Pass is an annual pass that offers unlimited visits to all Texas state parks, without paying the daily entrance fee. You can also receive exciting discounts on camping (restrictions apply), park store merchandise and recreational equipment rentals and are eligible for other specials. The Texas "Parklands Passport" offers the same benefits and is available free of charge to senior citizens, disabled veterans, and disabled persons. Nonprofit youth groups may purchase a "Youth Group Annual Entrance Permit" that allows entrance for children age 13-18 in groups of up to 50. The Texas State Parks Pass is available at most state parks and historic sites. The Utah State Park annual pass allows you, and up to seven guests in the same private vehicle, day-use entrance to all Utah State Parks. You will also receive a discount on camping reservations. A discounted version of this pass is also available to seniors. Passes are available for purchase online and at state park entrance booths. Vermont offers annual vehicle, personal, fishing, and senior passes. A "punch card" pass is also available, which is good for ten visits. Virginia offers a variety of annual passes, which are good for one year from the point of purchase. Also available is a lifetime pass; the cost depends on your age. The Washington and Oregon Recreation Permit is honored for day-use at all Forest Service, National Park Service, Bureau of Land Management and U.S. Fish and Wildlife Service sites. It also offers access to Oregon State Parks and Recreation Department day-use fee parks and U.S. Army Corps of Engineers fee sites, and will serve as a valid watercraft launch and trailer dump station permit at all Washington state parks. West Virginia does not offer a park pass of any kind. Camping discounts are available to senior citizens and the disabled. Annual entrance stickers allow unlimited entrance to all state parks in Wisconsin. 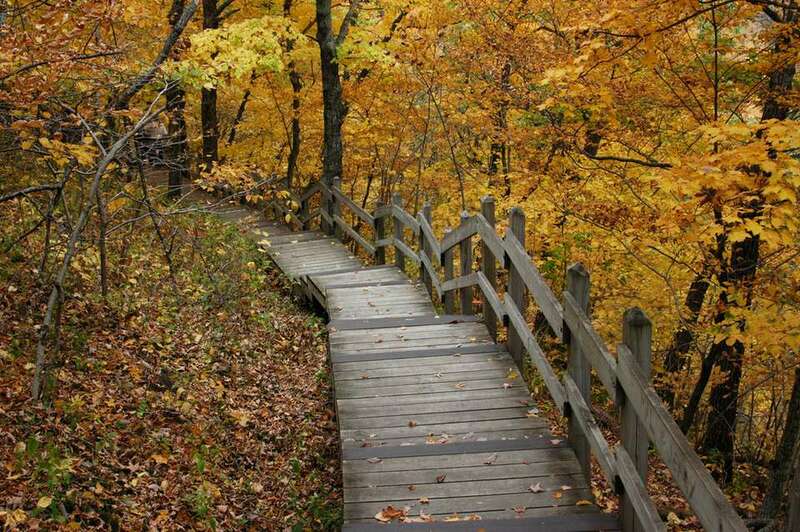 Also, an annual state trail passes allows biking, horseback riding, cross-country skiing, in-line skating and off-highway motorcycling at certain Wisconsin state parks. Wyoming requires fees at nearly all of the State Parks & Historic Sites Facilities. Residents and non-residents can buy annual passes for day-use and overnight camping.